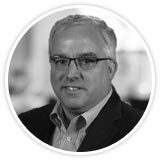 Bob Hitson is the Chief Sales Officer at True Image Interactive. He is a servant leader devoted to ensuring all channels are equipped to serve targeted markets and delivers market insights internally for future product development. Prior to joining the True Image team, Bob spent 25 years leading sales teams in multiple industries. He started his career bringing business process outsourcing solutions to customers in the areas of marketing and billing. During the dot com years, he successfully transitioned to software at Parametric Technology Company where he was a Regional Director tasked with managing several teams in an organization that grew to over $1 billion in 7 years. Parametric revolutionized the CAD/CAM market with the introduction of parametric 3D modeling which allowed discreet manufacturing to introduce new products to market faster.During his years at Parametric, Bob was introduced and gained a working understanding of both LEAN and Six Sigma. Bob learned Healthcare when he joined the Human Motion Institute (HMI), later rebranded Accelero Health Partners, as VP of Sales. He was part of a team that grew this startup orthopedic consulting company until it was acquired by Zimmer Inc. and remained at Zimmer for 5 years, transforming them from a hospital product vendor to business partner. There he was directly responsible in establishing one of two Joint Commission Disease Specific Certified Joint Replacement Program outside of the U.S., located in Bogotá, Columbia. Bob received a B.S. degree in Finance from Juniata College and Master’s Certificate in Healthcare Leadership from Cornell University. Bob volunteers much of his time to his church, Habitat for Humanity, and various veteran causes.